I already have a patching rack and a server rack at home for all my Cisco networking gear so I decided that I would go down the route of buying 1U Rack Mount servers for my Home Lab. 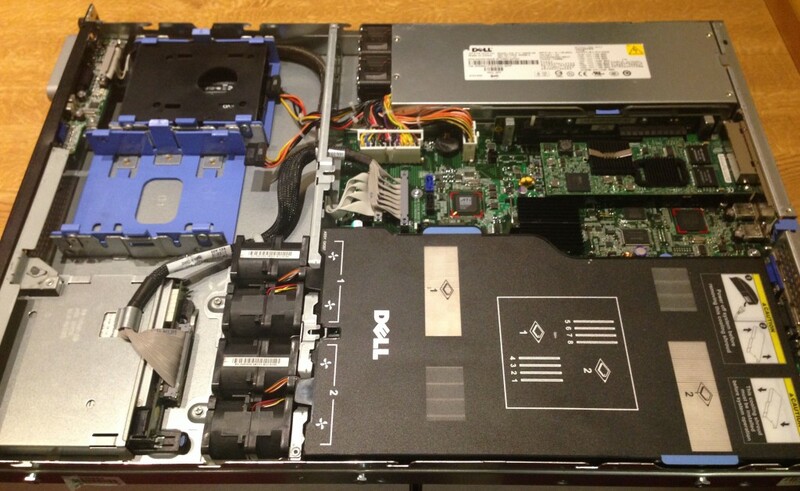 I am very familiar with DELL hardware so that was a simple choice, I didn’t want to spend a fortune on running servers with dual power supplies so I looked at the DELL PowerEdge SC1435 which after a BIOS upgrade to v2.2.5 is capable of running a pair of AMD Opteron 8386 SE which is a Quad Core 2.8GHz 3rd Generation CPU and supporting 8 x 4GB DDR2 memory modules giving a total capacity of 32GB of RAM which I thought was adequate for a Home Lab (oh how I was wrong!) 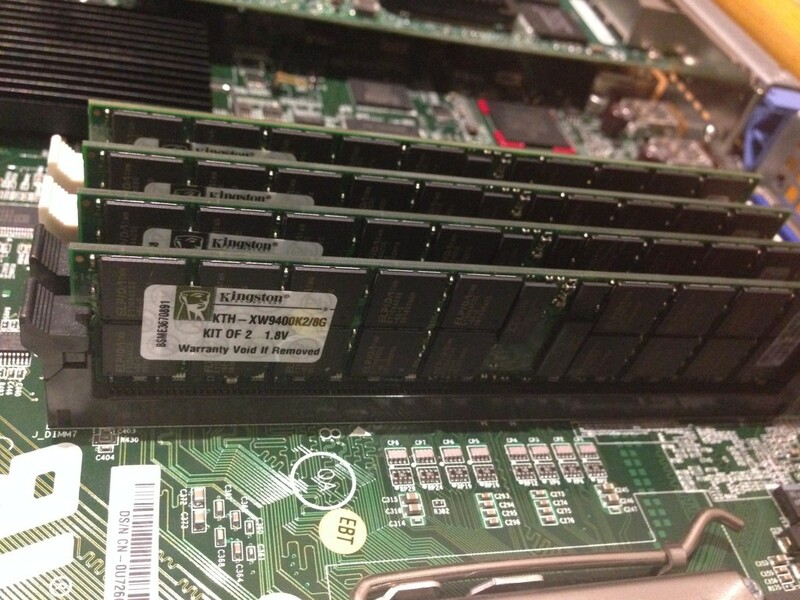 I started of with just a pair of these servers and now I have 12 of them in my Home Lab rack. 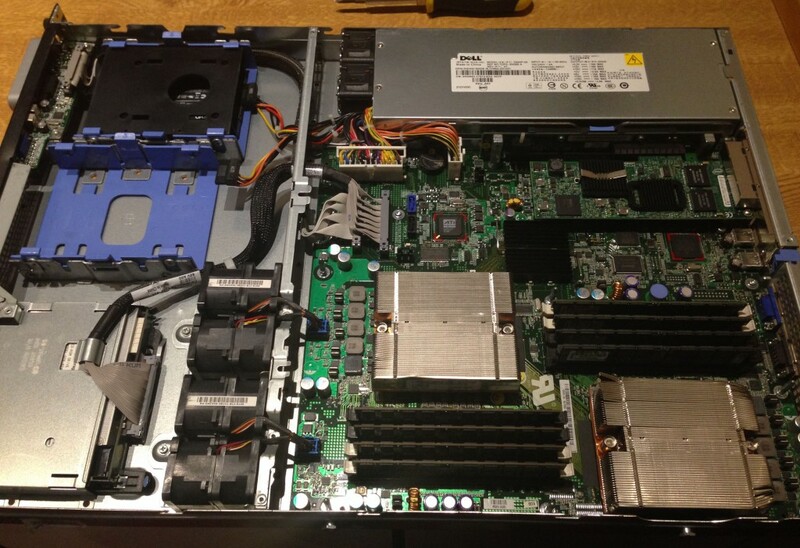 DECEMBER 2013 UPDATE: I have just purchased a CPU upgrade for all of my DELL PowerEdge SC1435 Rack Mount Servers. I have purchased 16 x AMD Opteron 8386 SE Quad Core 2.8GHz CPUs which have on eBay I purchased these CPUs because they are a faster clock speed and they have 4MB more L3 cacbe on the CPU and they are the new 0.045 micron Shanghai AMD Architecture as opposed to the old 0.065 micron Barcelona architecture, all the other specifications of the CPUs are identical. You can see a comparison here at CPU World: AMD_Third_Generation_Opteron_8360_SE_(rev._B3)_vs_AMD_Third_Generation_Opteron_8386_SE. 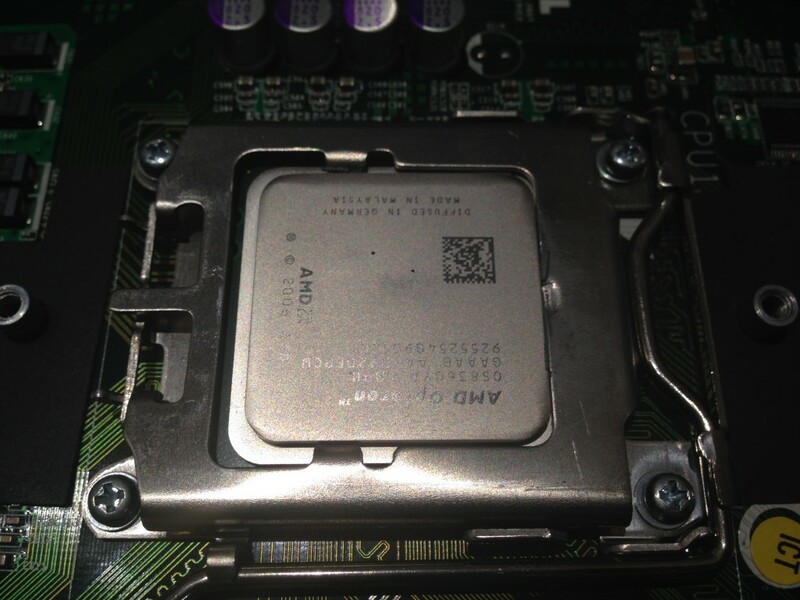 As a result of this upgrade I am selling 16 x AMD Opteron 8360 SE Quad Core 2.5GHz CPUs on eBay. 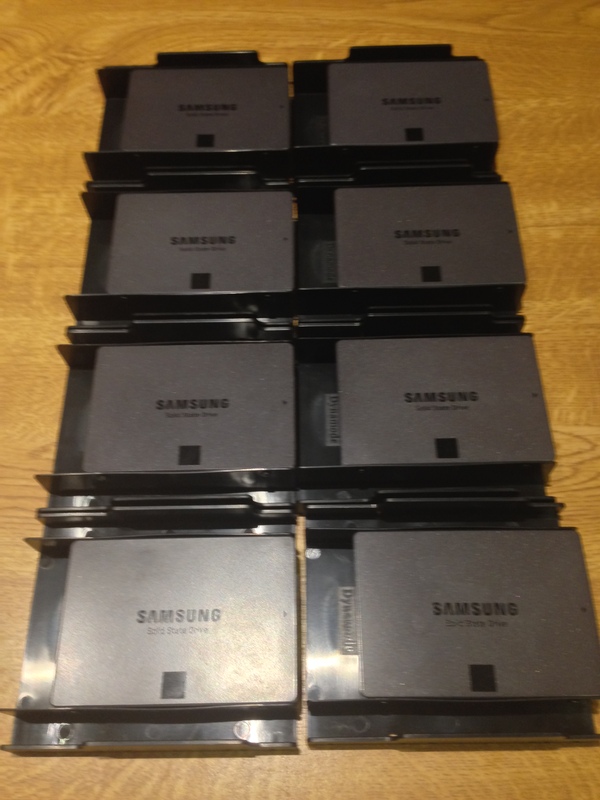 These are the Samsung 840 EVO SSD drives which I have purchased with the intention of setting up vSAN on my ESXi hosts. 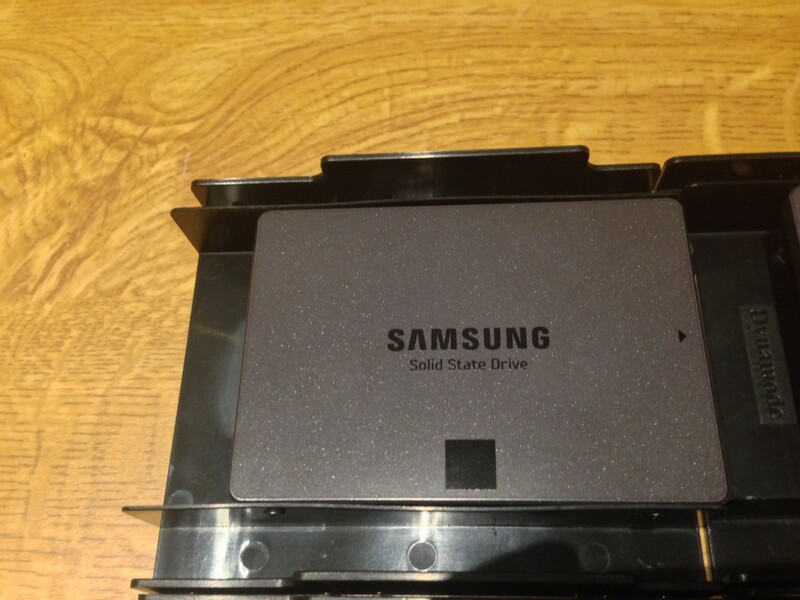 This is the CPU and memory air guide installed, you can also see a single Samsung 840 EVO SSD drive has been installed in each of my Home Lab servers ready for vSAN, I am still trying to decide which large SATA hard disk to install to compliment the awesome SSD. 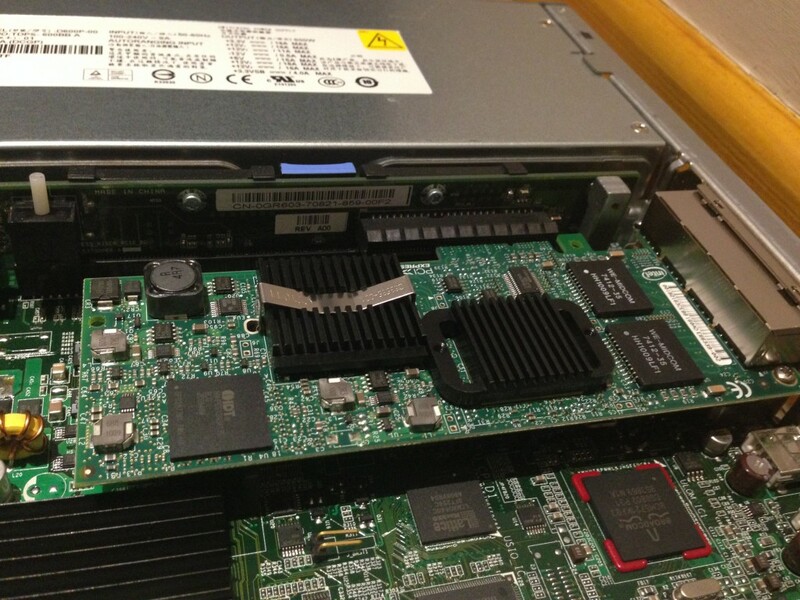 This is the rear of the 1U server, you can see it has 2 x 1GbE ports on board and 4 x 1GbE ports provided by the INTEL PRO 1000 VT Quad Port card and I have a 4Gb USB flash drive plugged in which I have ESXi installed on. 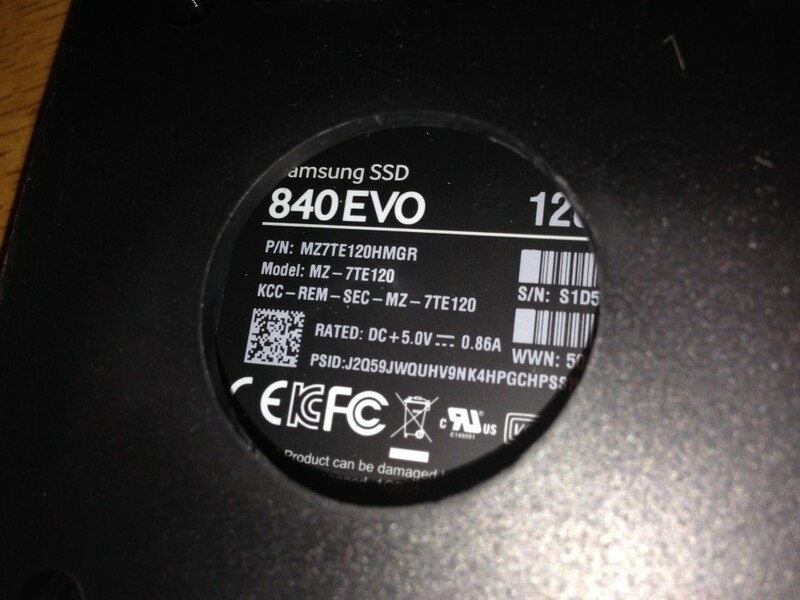 All components were purchased on eBay except the SSDs which I bought brand new from SCAN. 990 days, 12 hrs and 36 min.